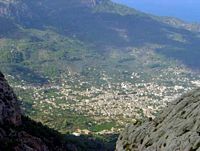 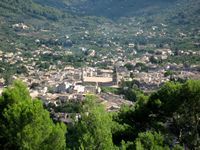 The town of Sóller itself covers about three kilometers from the Port de Sòller to the town Fornalutx and the hamlet of Biniaraix inside a large valley at the foot of the mountains. 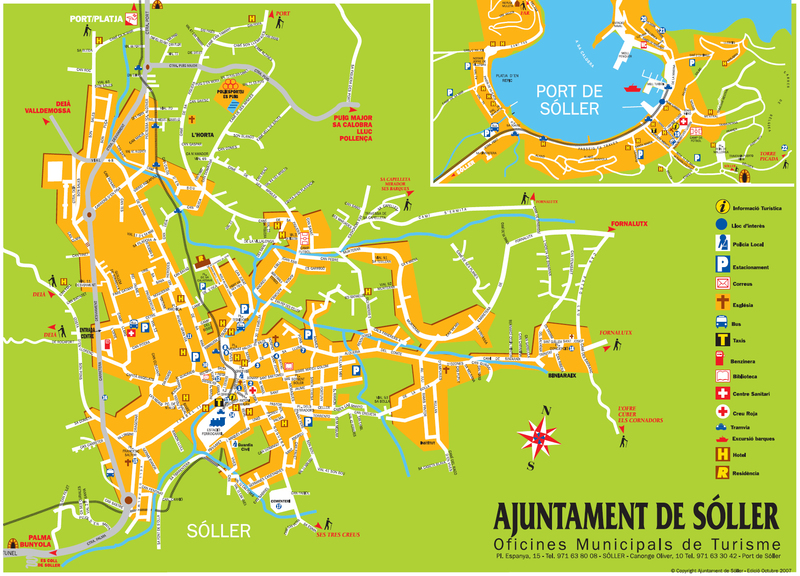 This large town has about 12,000 inhabitants, called Sollerics. 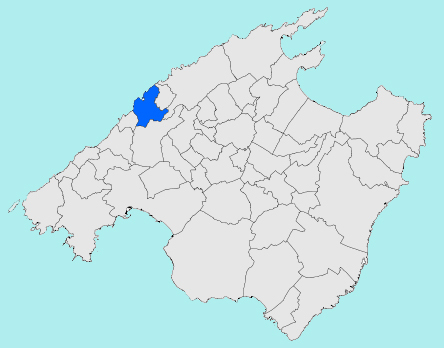 The municipality of Sóller includes five villages: Soller, Port de Sóller, Horta de Sóller, Biniaraix and S’Alqueria des Comte. Sóller is pronounced "so-yer" in Majorcan and "so-border" in Castilian Spanish. 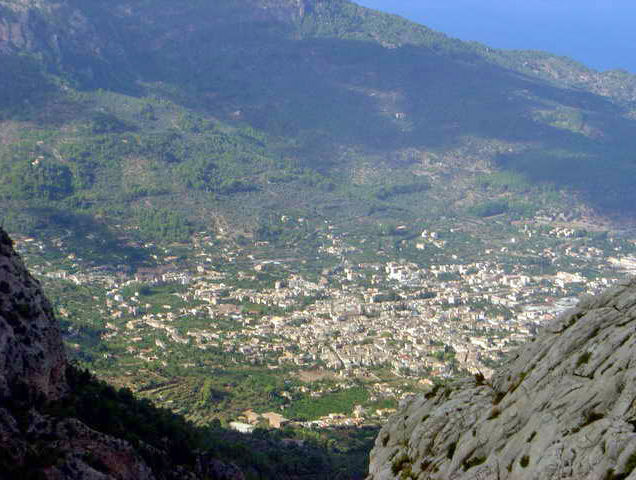 Sóller is a municipality located in the county of Serra de Tramuntana in the northwest coast of the island of Mallorca, about 34 kilometers from the capital, Palma. 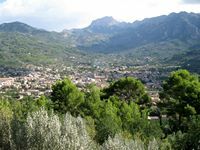 The town of Sóller is located about 3 km inland, in a large bowl-shaped valley, which also includes the town of Fornalutx and villages Biniaraix and Binibassi. 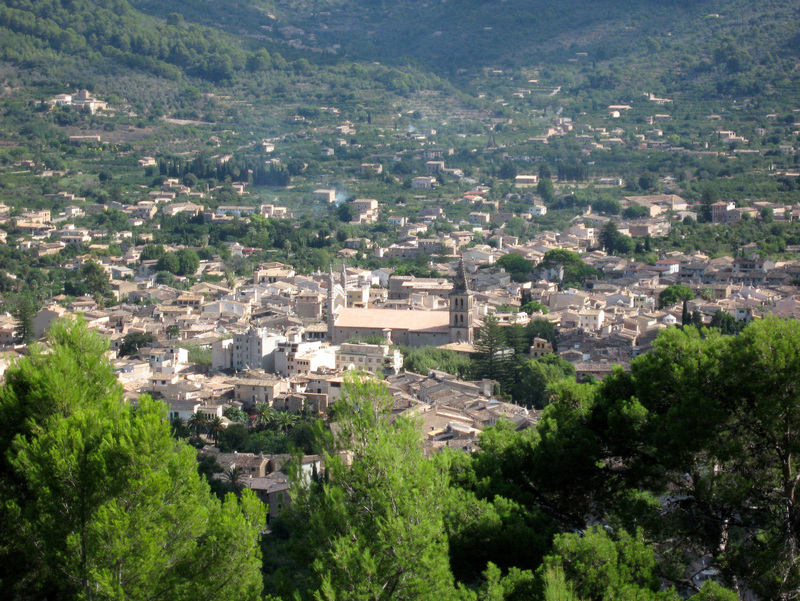 The city is bisected by a river with a number of bridges. 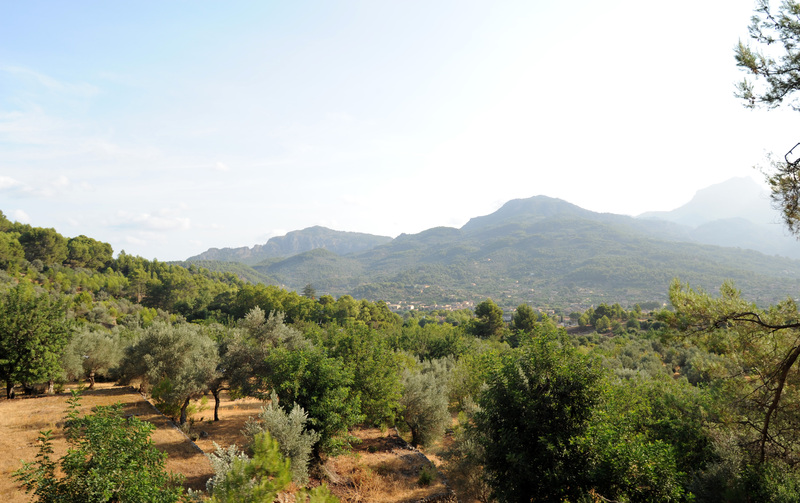 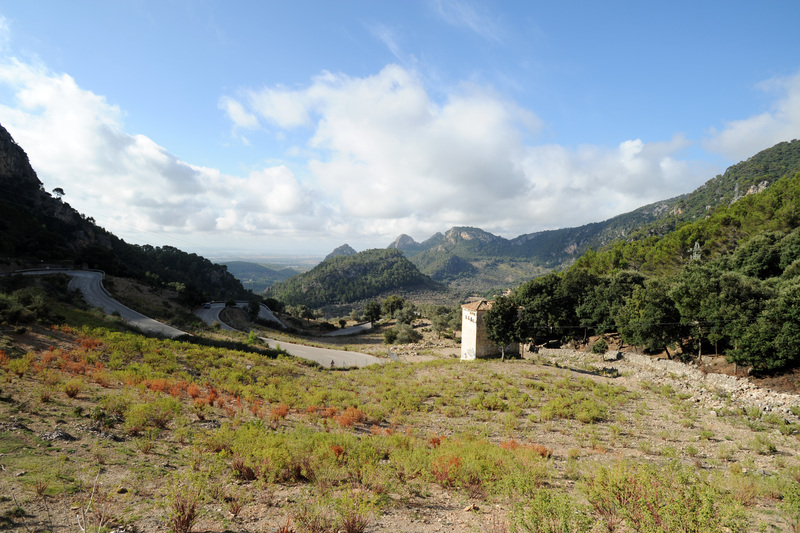 Located in a plain orange and surrounded by high limestone mountains of Puig de l’Ofre, Es Cornadors the Serra d’Alfàbia, Es Teix, Puig de sa Bassa and especially of the Penyal Migdia who isolated the rest of the island for centuries Basin of Sóller. 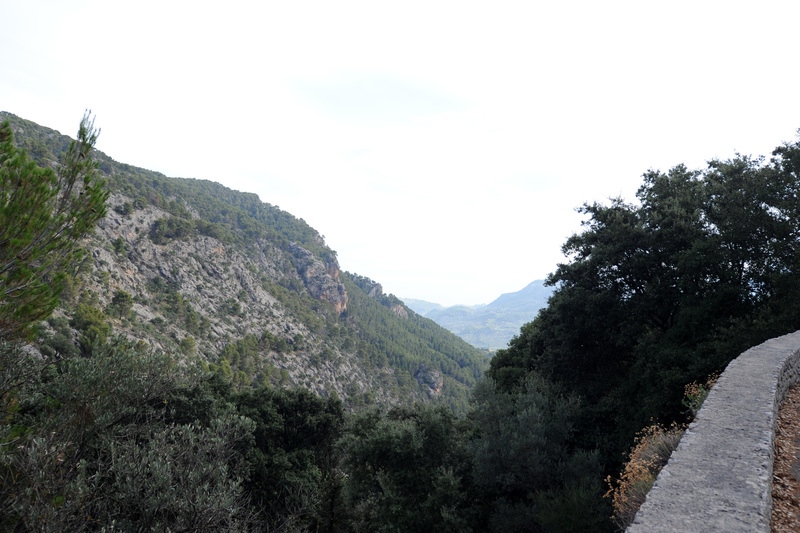 Until late in the nineteenth century, the valley was accessible only by mule from neighboring cities trails as Deià and the path of Castelló, Bunyola and the former path of Palma, Lluc and the ravine of Biniaraix and the distant Sa Calobra. 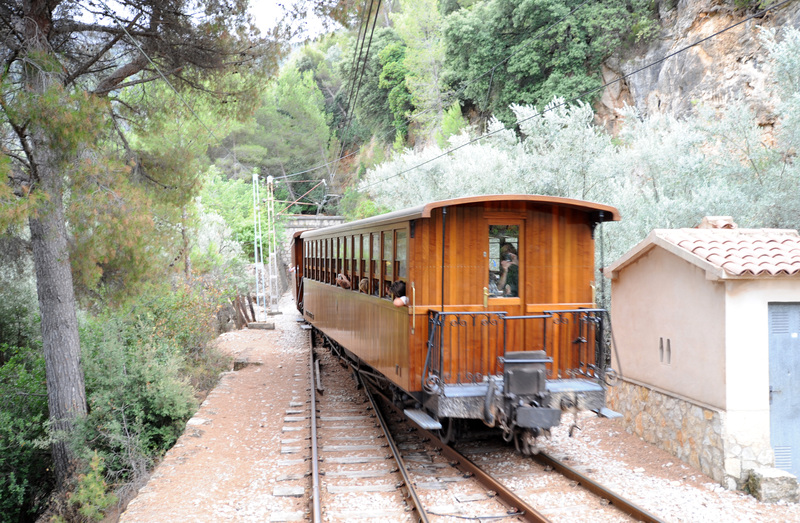 Roads pass Sóller and Deià were completed in the nineteenth century, when in 1911 the first cars of the Sóller railway began carrying passengers and goods. 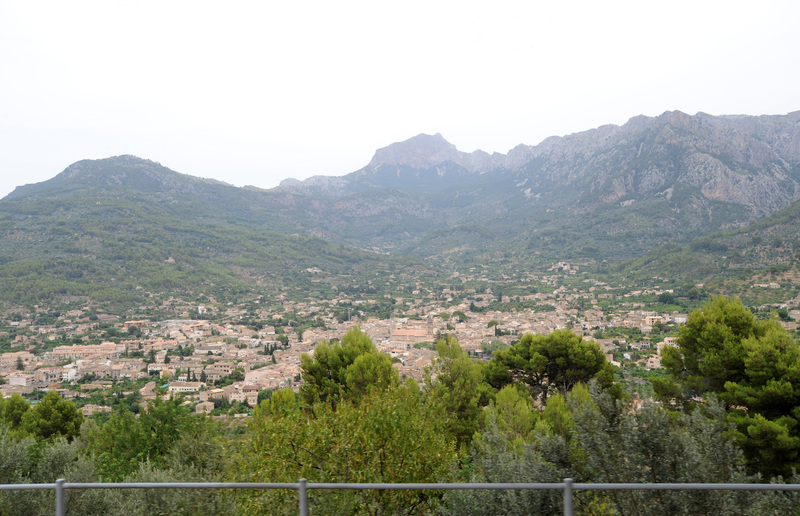 Sóller has its very own Spanish personality. 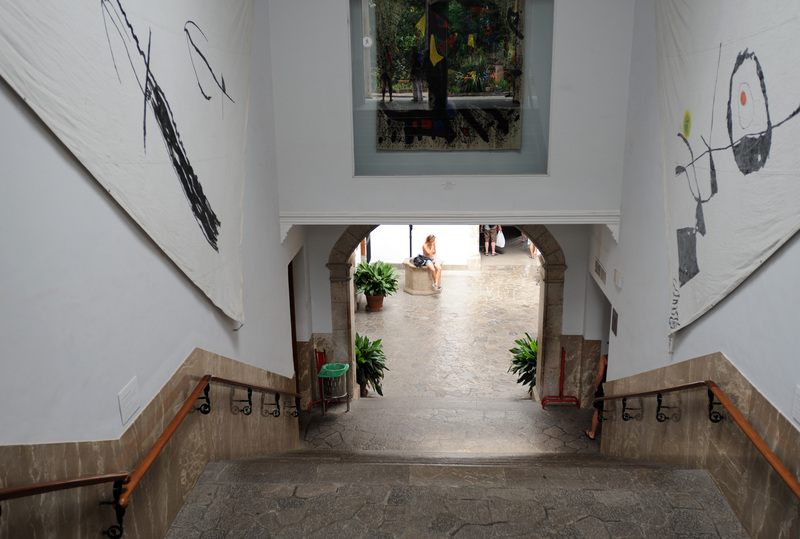 The plan of the old town with Moorish origin, but the streets are lined with historic houses from the sixteenth to eighteenth centuries. 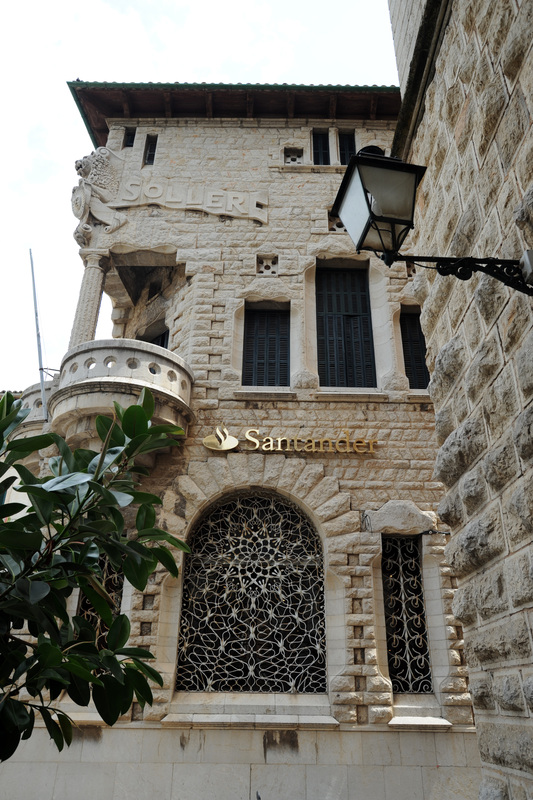 Balconies are adorned with geraniums and palaces of the eighteenth and nineteenth centuries attest to the prosperity of a time when the city maintained close relations with Sete, Toulon, Cannes and Marseille. 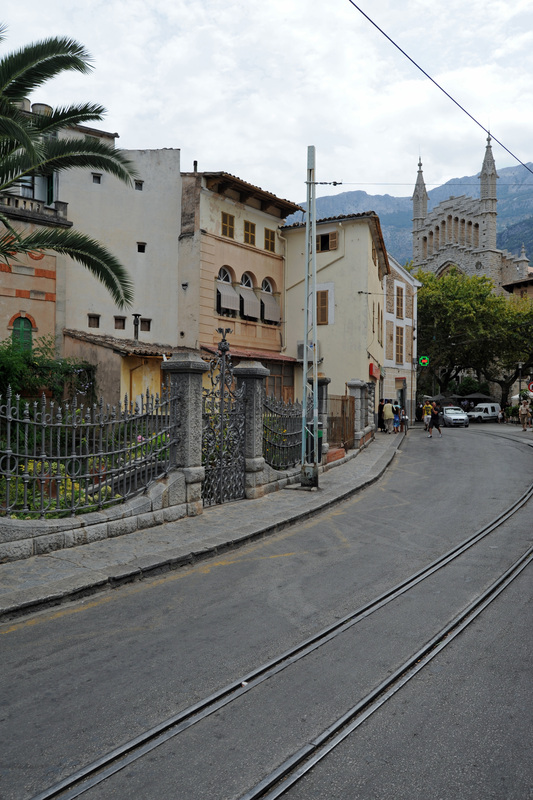 Sóller is also known for the houses built in the early twentieth century by emigrants enriched income, including France, especially the houses on the Gran Via and Carrer de la Luna, which reflect the French Art Nouveau style of the late nineteenth century. 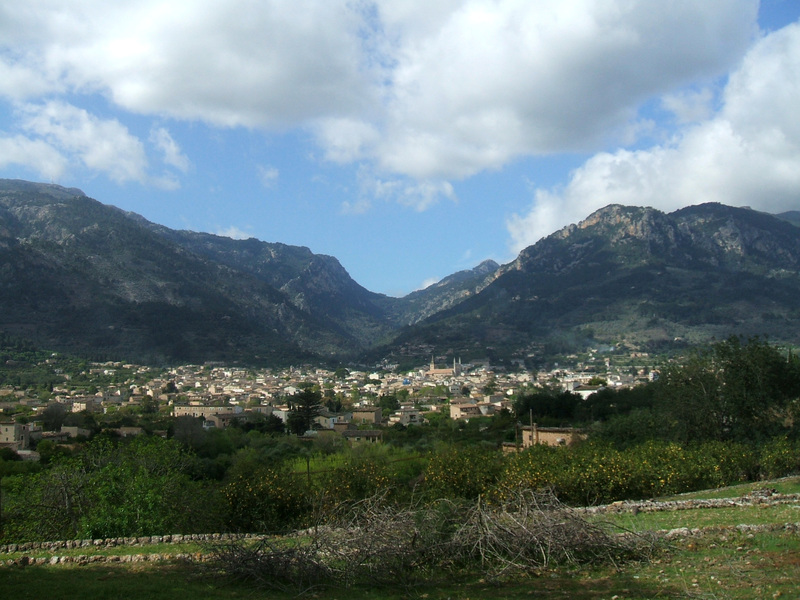 Part of the town was fortified, but it remains today a piece of the wall near the parish church. 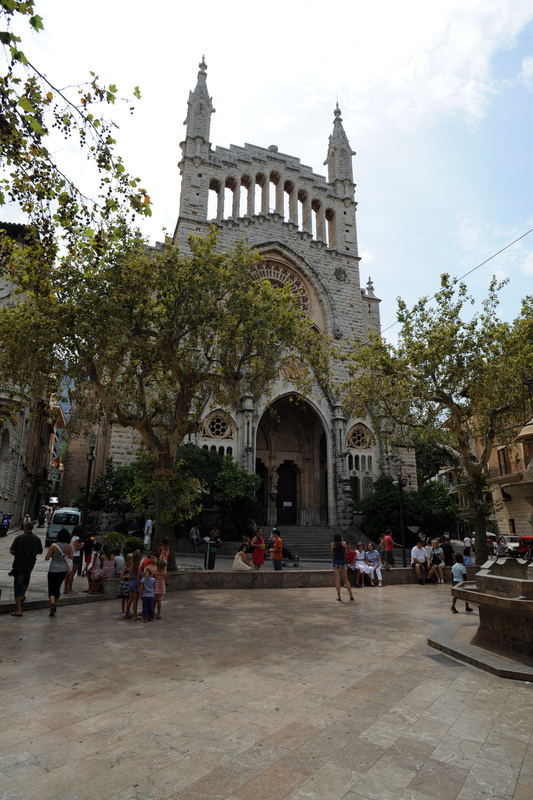 The meeting place in Sóller is the Plaza de la Constitución, social city center surrounded by cafes, with plane trees and a fountain in its center. 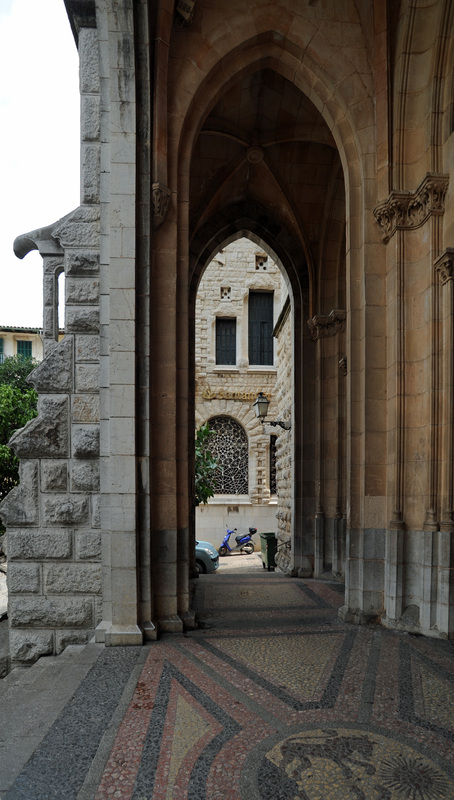 The facade of the church and that of the bank on the left of the square, are pretty amazing. 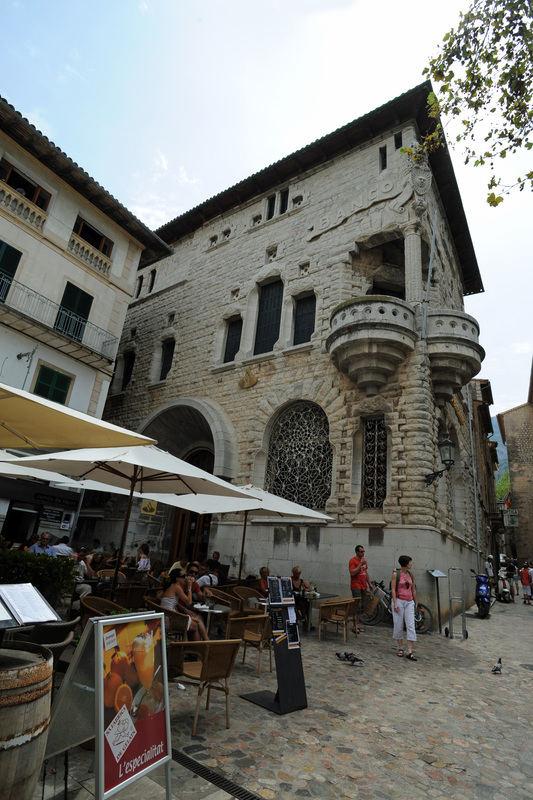 They are the work of Joan Rubio i Bellver, disciple of Antoni Gaudi. 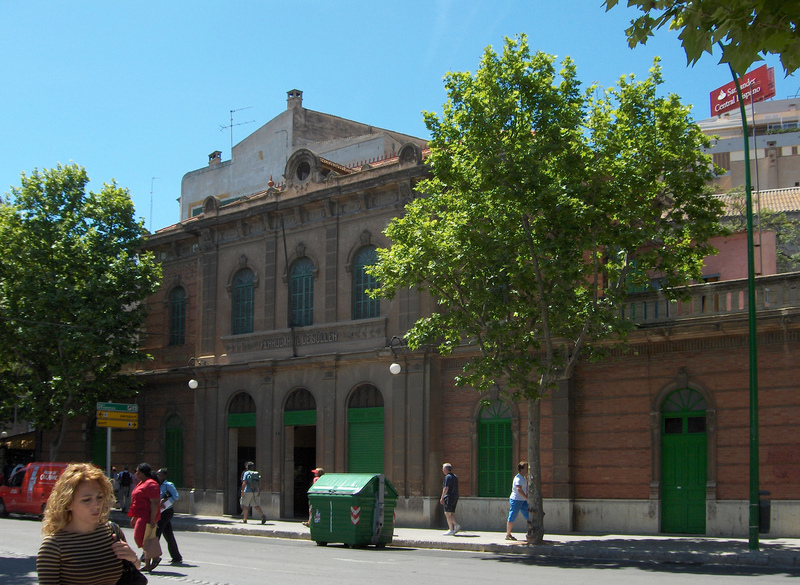 Joan Rubió also designed the Villa Ca’n Prunera (1909-1911) located on Carrer de Sa Luna. 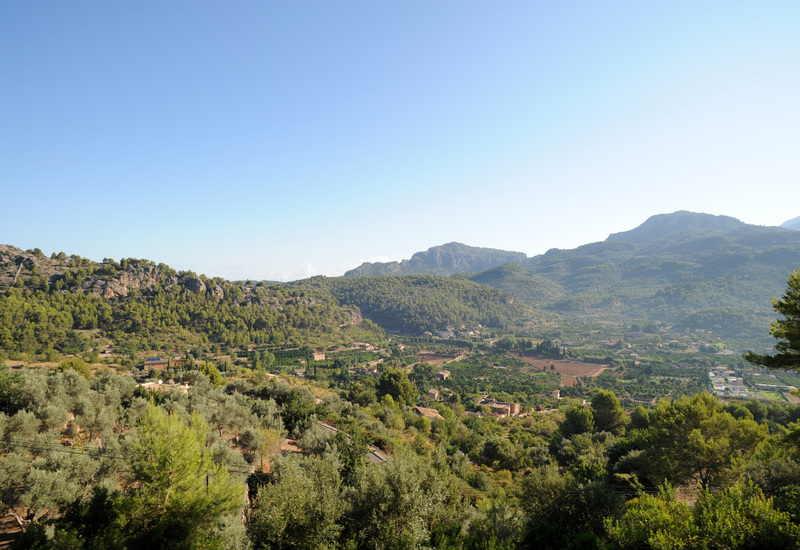 The farmers market is held every Saturday morning in Sóller. 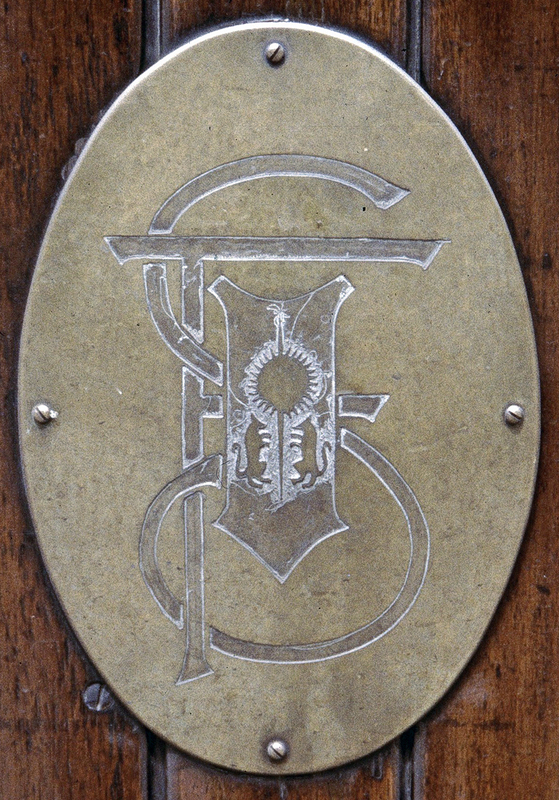 The Church of St. Bartholomew dates a little before 1236, but its main internal structure is largely Baroque (from 1688-1733). 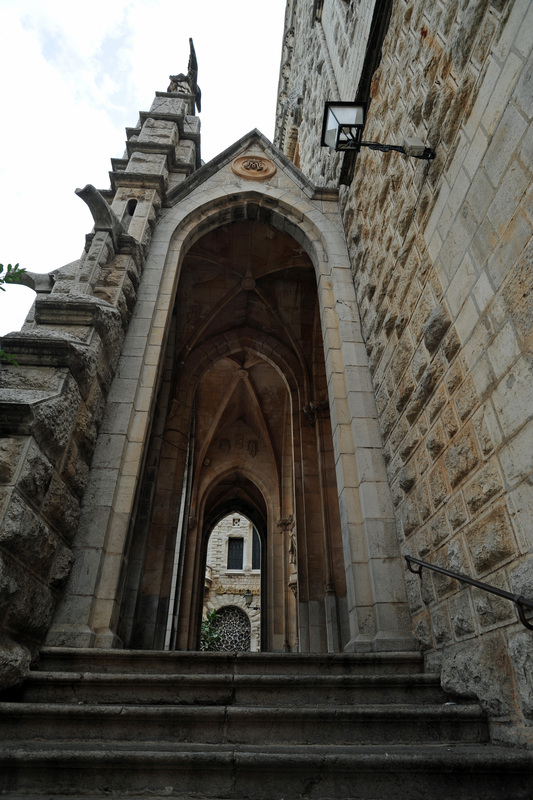 The tower (campanar) fits well with its neo-Gothic style. 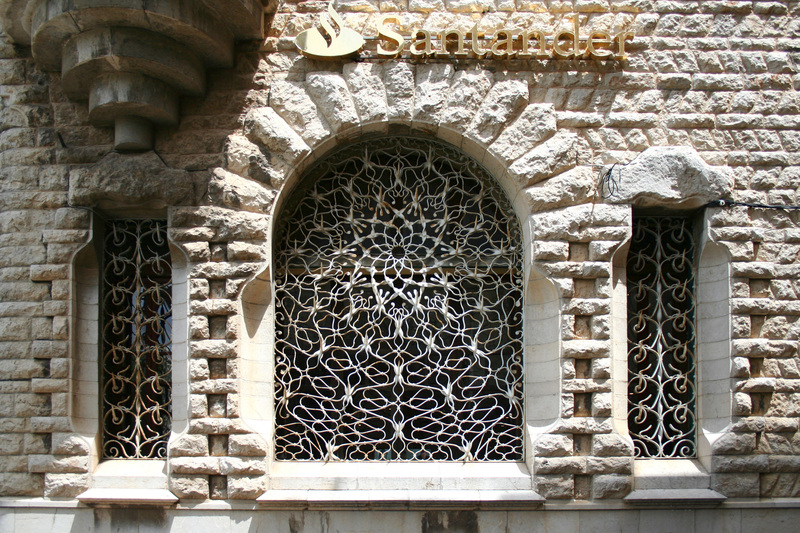 The façade is a remarkable construction in 1904 caused by Joan Rubió. 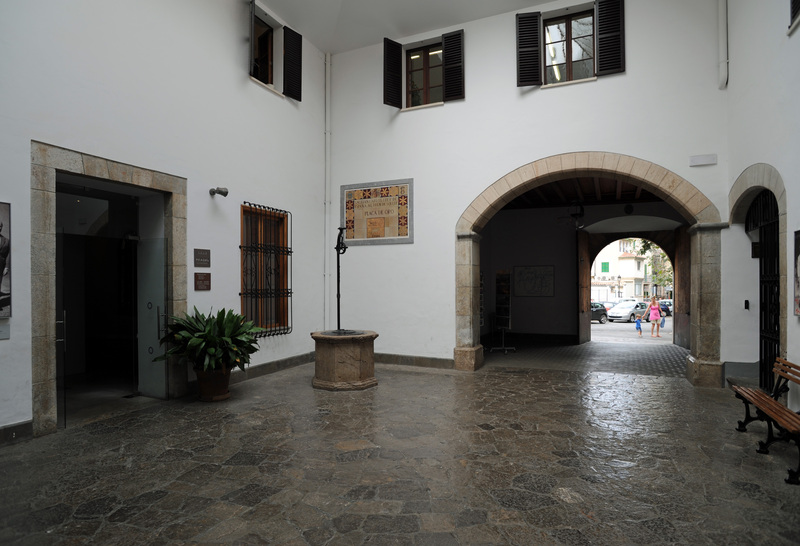 Banco de Sóller, which adjoins the parish church, is a striking Modernist building from 1912 with ironwork, designed by Catalan architect Joan Rubio i Bellver. 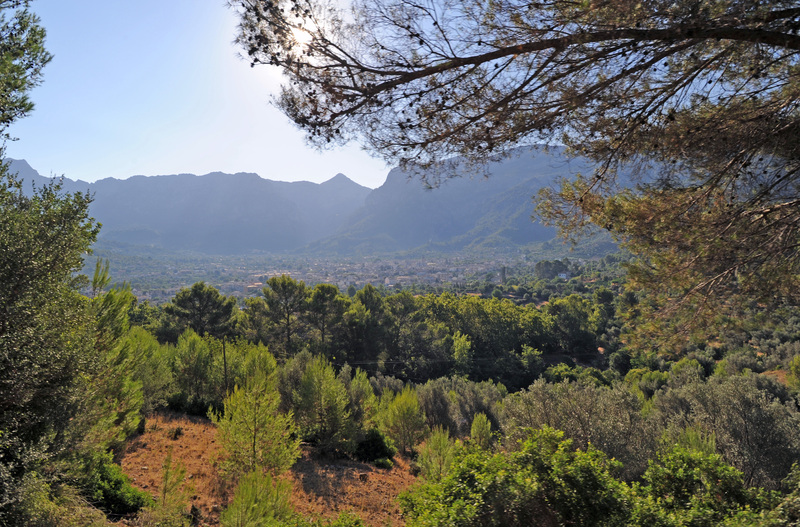 The Botanical Garden of Sóller was established in 1985 and opened to the public in 1992 as a center for conservation, research and education in the Mediterranean flora and especially that of the Balearic Islands. 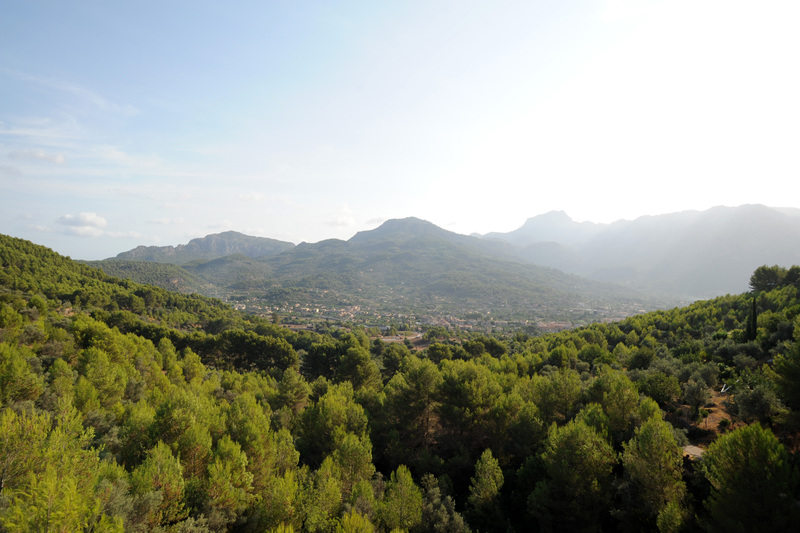 The Botanical Garden has today, considering only the wild flora, about 6000 plants of a thousand different species. 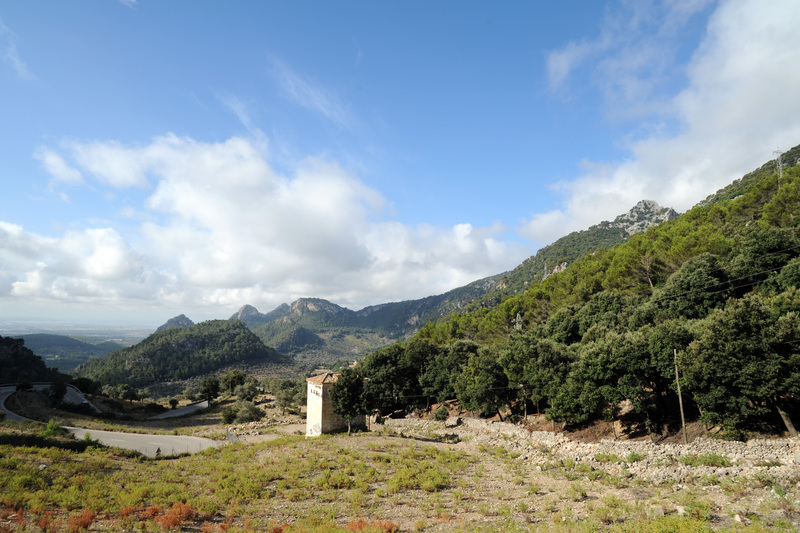 In the section you can see the Balearic 128 endemic species in the Canary Islands and some 110 species in other parts of the Mediterranean islands, there are more than 200 endemic species. 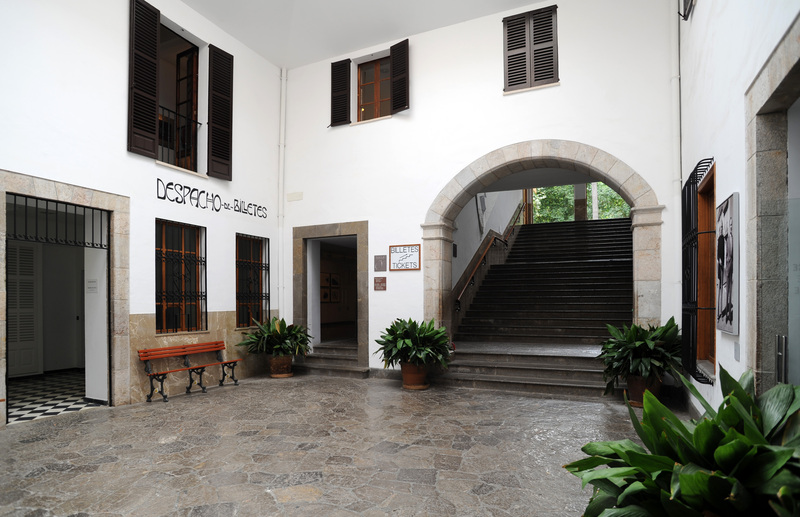 Tuesday to Saturday, from 10:00 to 18:00, Sundays and holidays from 10:00 to 14:00, closed on Mondays. 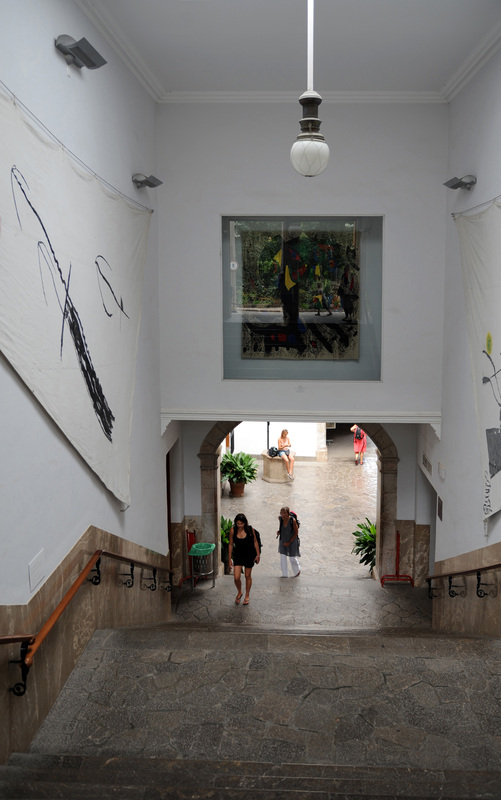 Sóller station has been restored and contains a Picasso and Joan Miró. 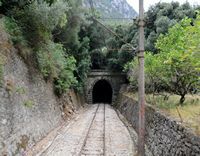 An interesting excursion leads to Al Cornador. 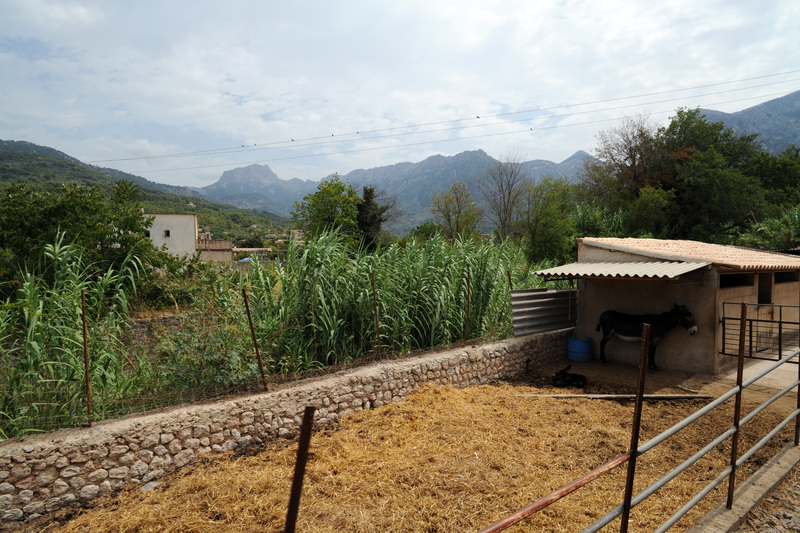 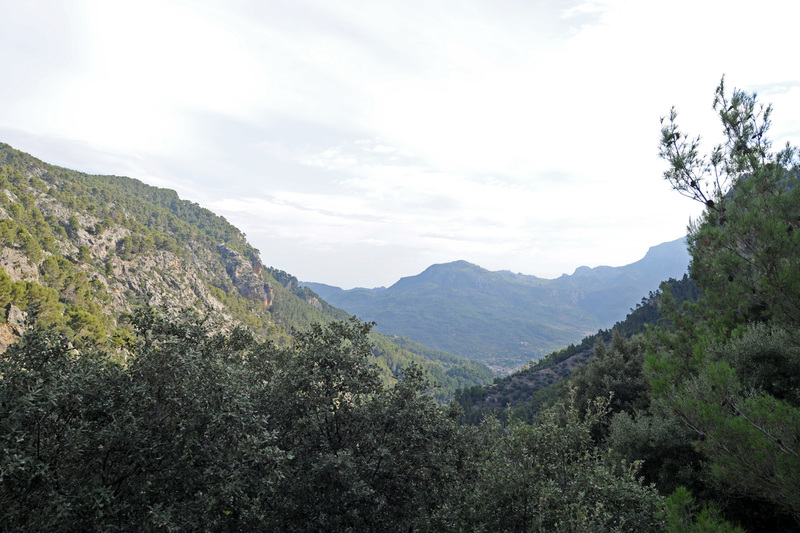 We leave the cemetery of Sóller to reach a hamlet located 600 m above sea level. 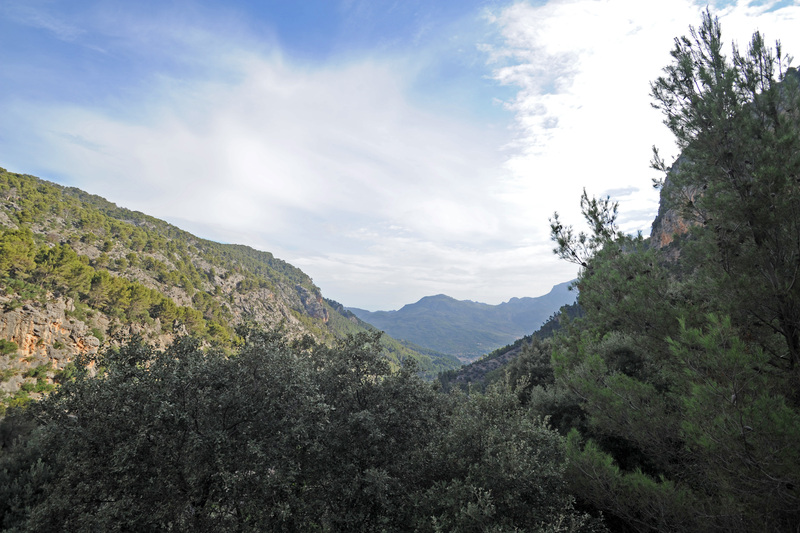 The more adventurous can climb to the viewpoint Joaquim Quesada (915 m), which overlooks the valley of Sóller and Fornalutx and Biniaraix. 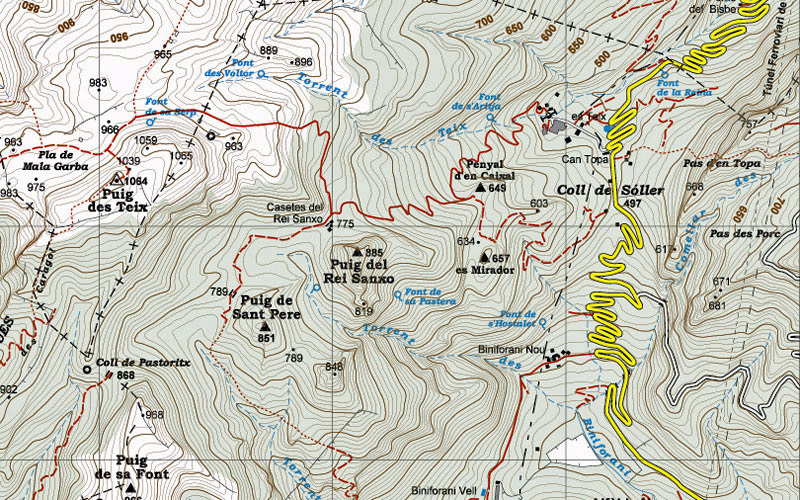 All around lie the highest peaks of the island (Teix, Serra d’Alfàbia, coll de l’Ofre and Puig Major). 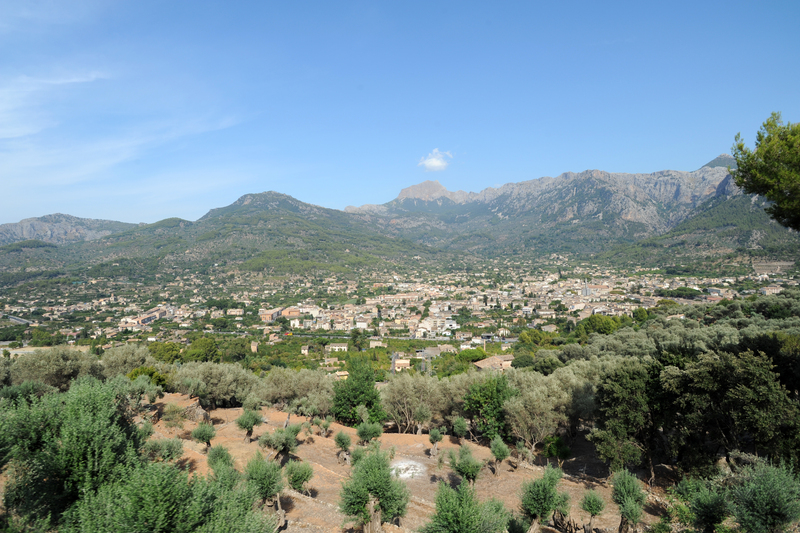 The export of oranges and lemons to the south of France by the Port de Sóller and the production of olive oil have a strong commercial and cultural exchange, which is evident in the beautiful mansions with facades carefully worked which show an unusual elegance Mallorca. 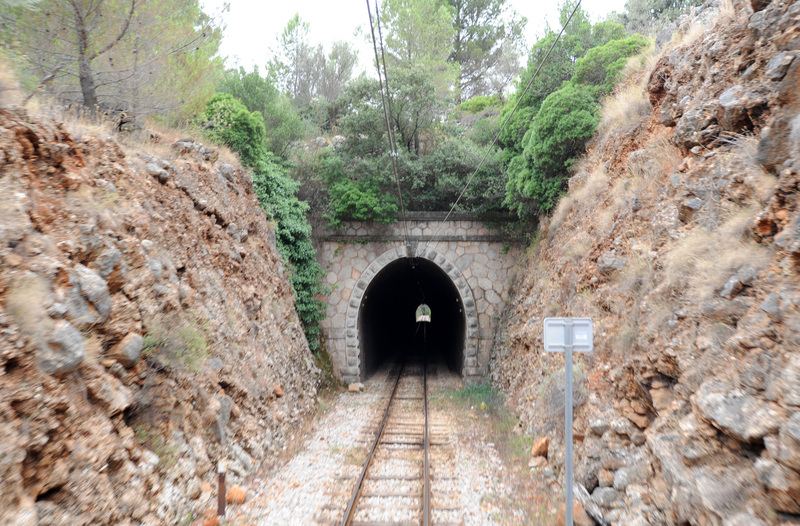 A toll tunnel, opened in 1997, can reach Palma, 25 km away, in just 30 minutes and the airport in 40 minutes. 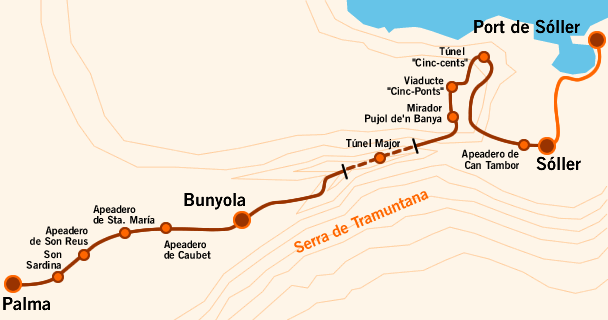 In a few minutes the tunnel can cross the Serra d’Alfàbia. 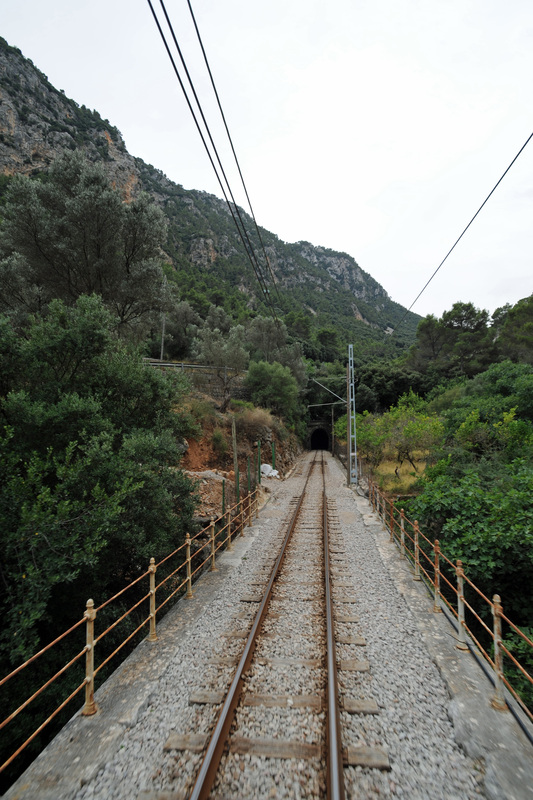 The toll tunnel of Sóller costs 4.50 euros. 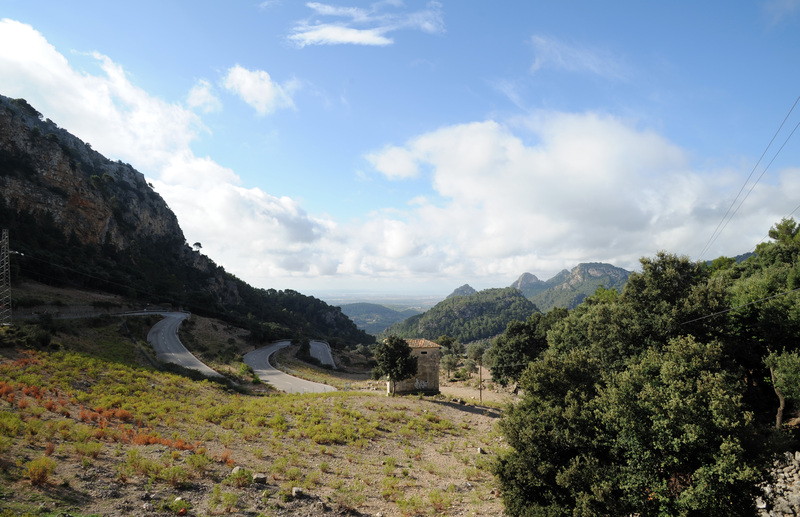 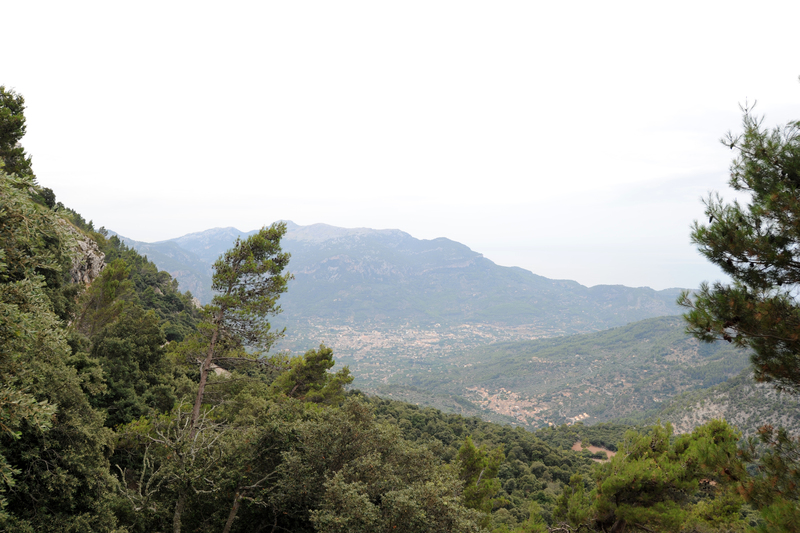 Those who are not in a hurry can take the panoramic road from Palma to Sóller passes through the pass of Sóller (Coll de Sóller) where the view is stunning. 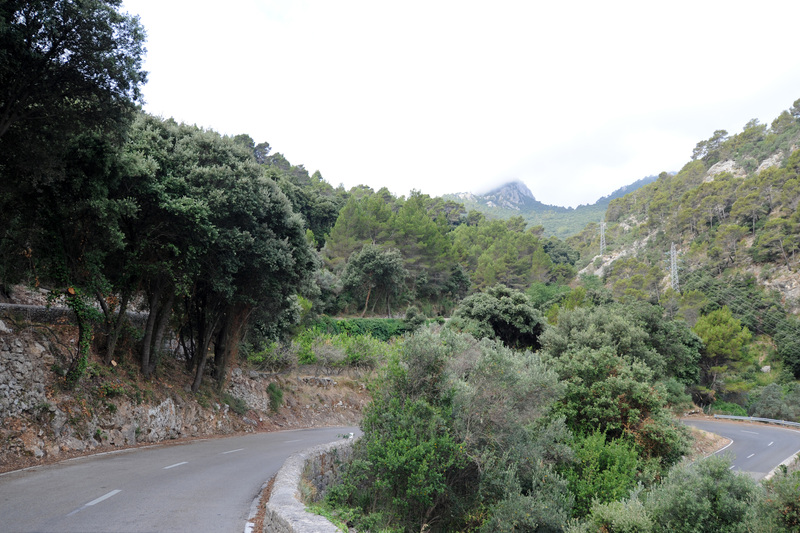 Although road links have improved, this direct route is particularly painful. 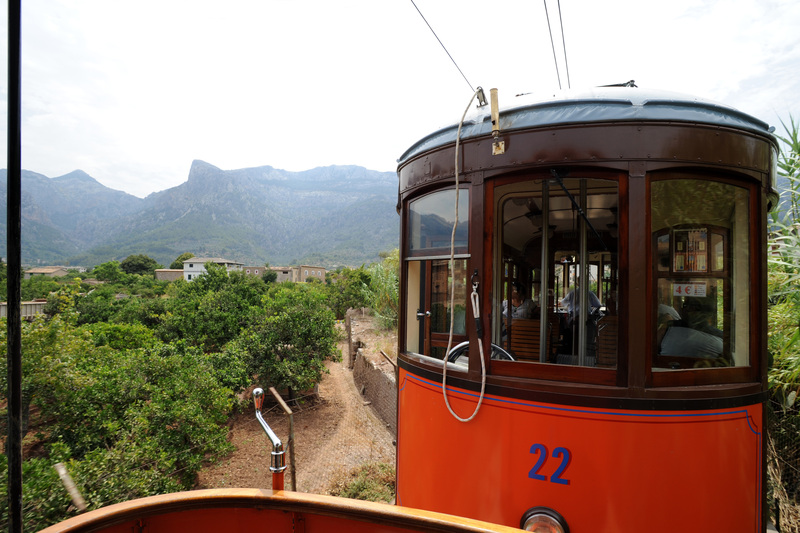 Line L211 bus allows the route Palma -Sóller / Port de Sóller. 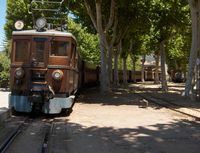 Since 1912 a typical process to antique wooden wagon, the "Red Lightning" connects Sóller to Palma through beautiful mountain scenery and arriving to Palma, plains planted with almond and olive trees. 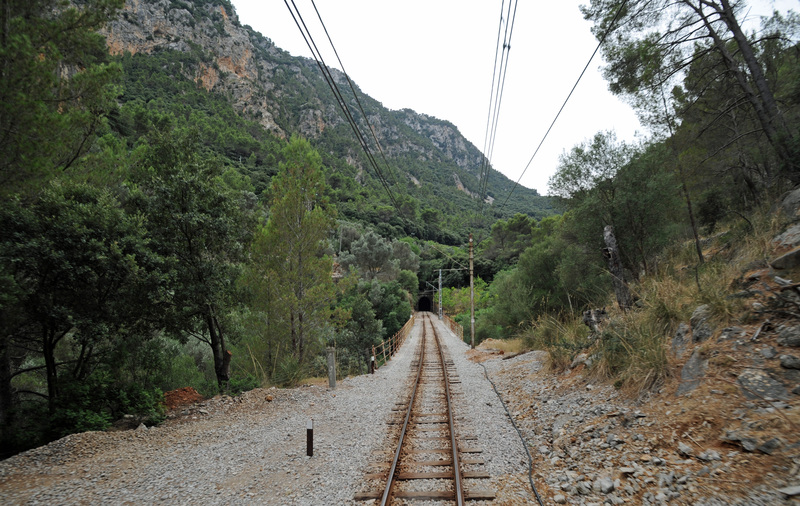 The line takes three tunnels through the Serra de Tramuntana. 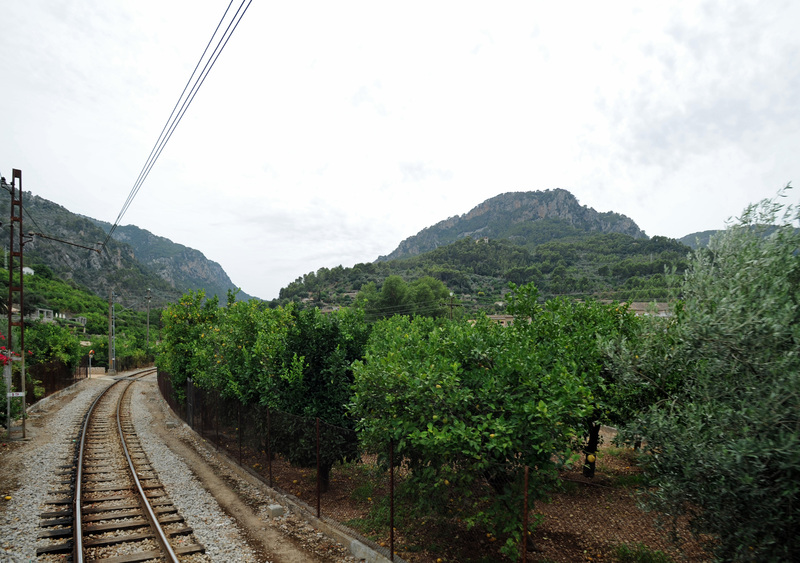 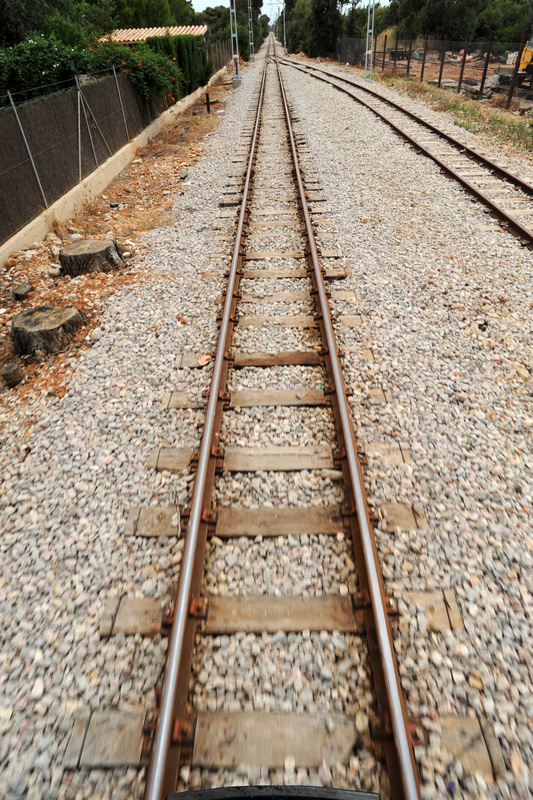 The Ferrocarril de Sóller (Sóller Railway) is a railway route 27 km long, it is a narrow gauge line at 914 mm spacing and electrified by overhead. 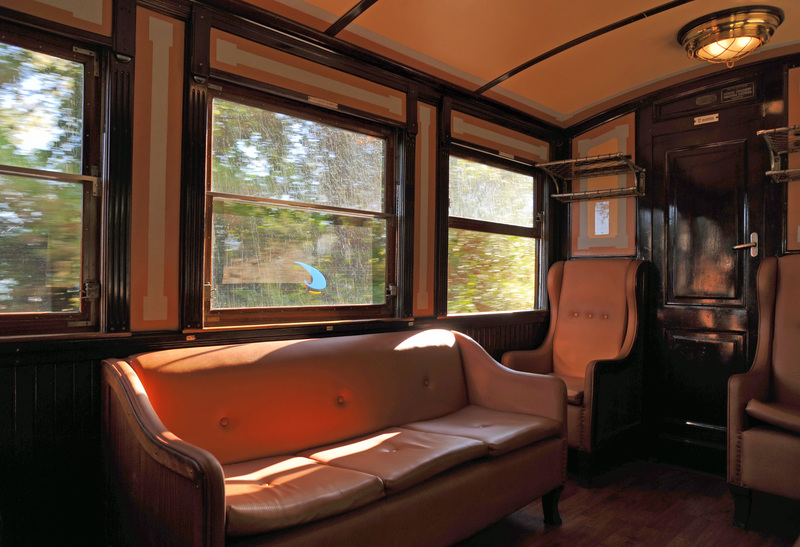 This train is the only one of its kind to be still in use today. 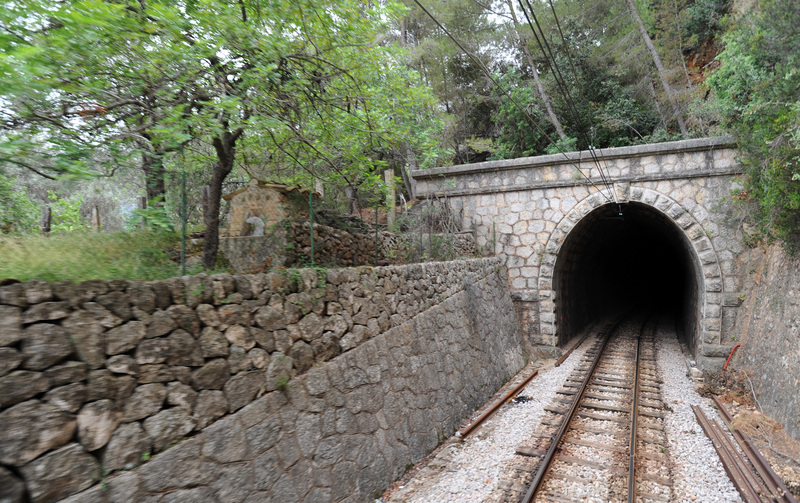 Allow an hour to cover the 27 km between Palma (Estació Plaça d’Espanya / Estacion Plaza de España) de Sóller. 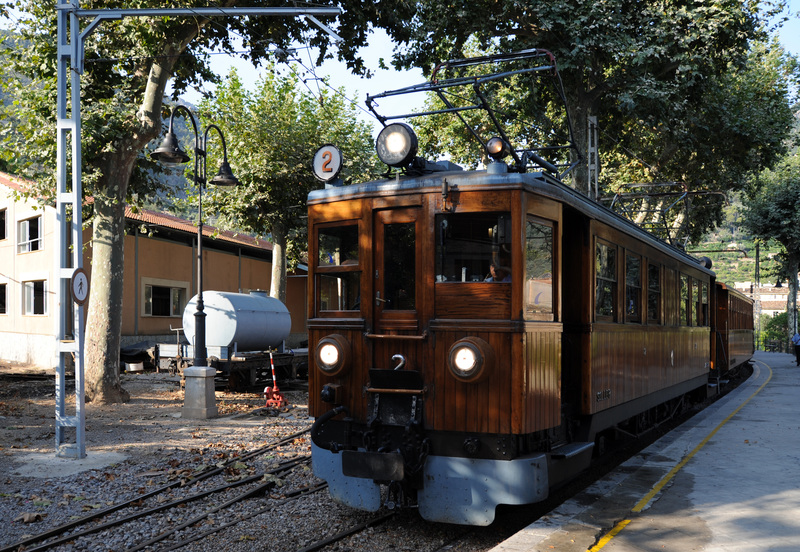 Palma-Sóller: from March to October, daily departures at 8:00, 10:10, 10:50, 12:15, 13:30, 15:10, 19:30, from November to February, departure at 8:00, 10:50, 13:05, 15:15, and 19:00. 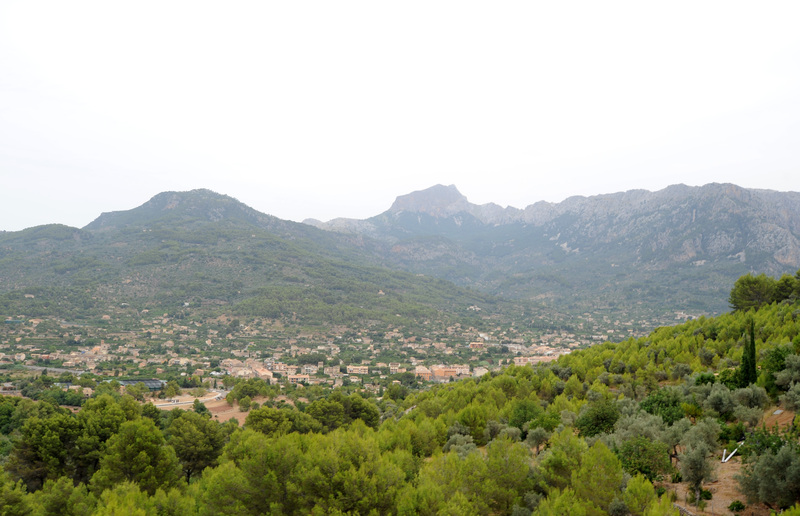 Sóller-Palma from March to October, departures at 9:10, 10:50, 12:15, 14:00, 18:30 (Saturdays, Sundays and holidays at 19:00) from November to February, departures at 9:10, 11:55, 14:10, 18:00. 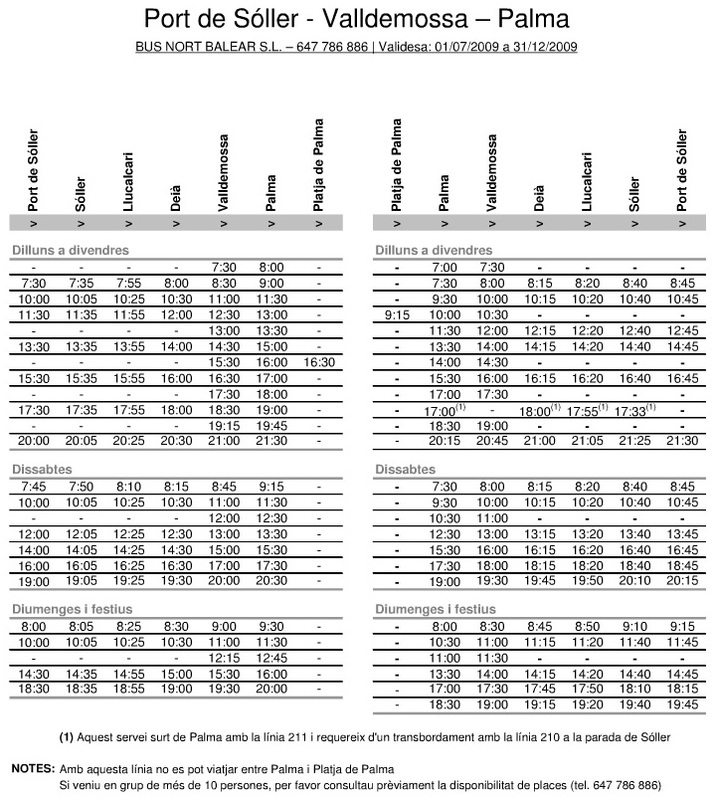 Price: 10 € (one way), 17 € (return). 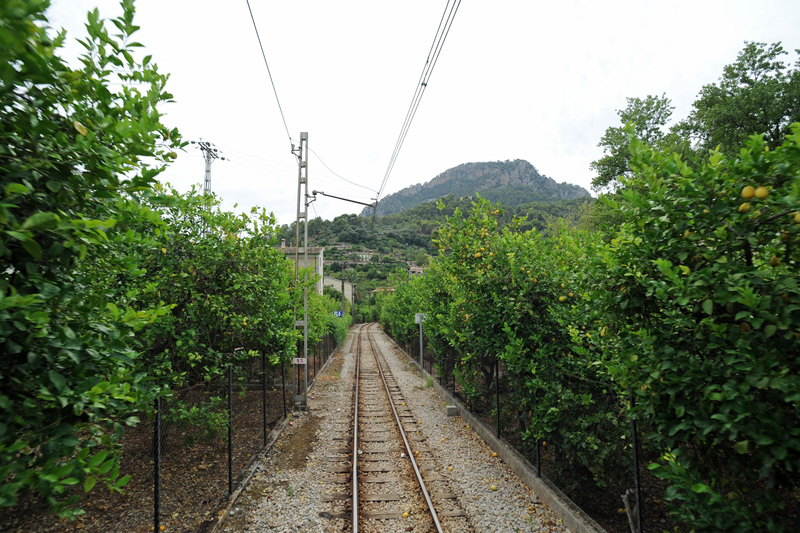 A Sóller railway line is in correspondence with a tram line, the "Orange Express" about 4.9 km linking the station terminal of Sóller with Port of Sóller. 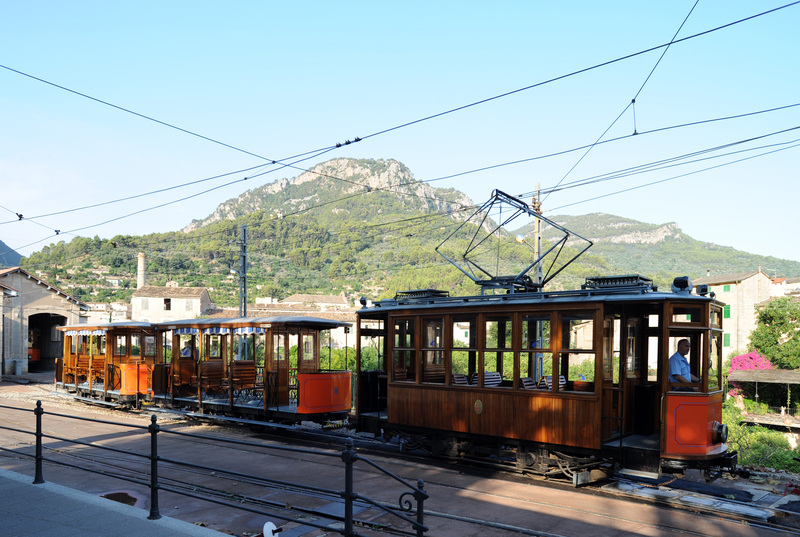 The departure is below the station and wherever we see little orange boxes with schedules. 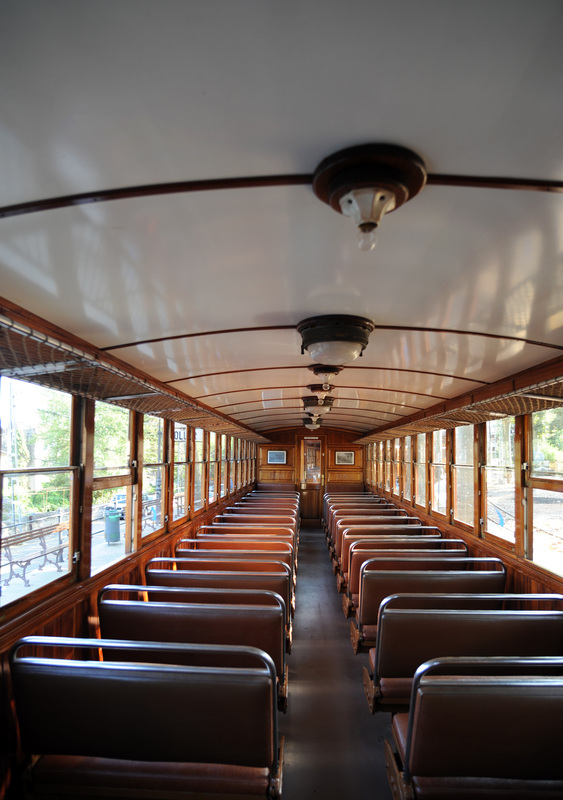 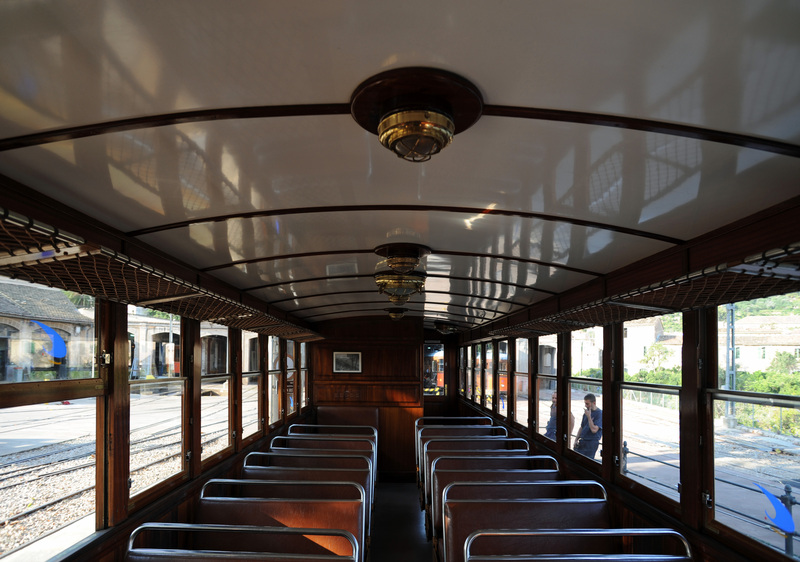 The tram is also the spacing of 914 mm, and was opened October 4, 1913. 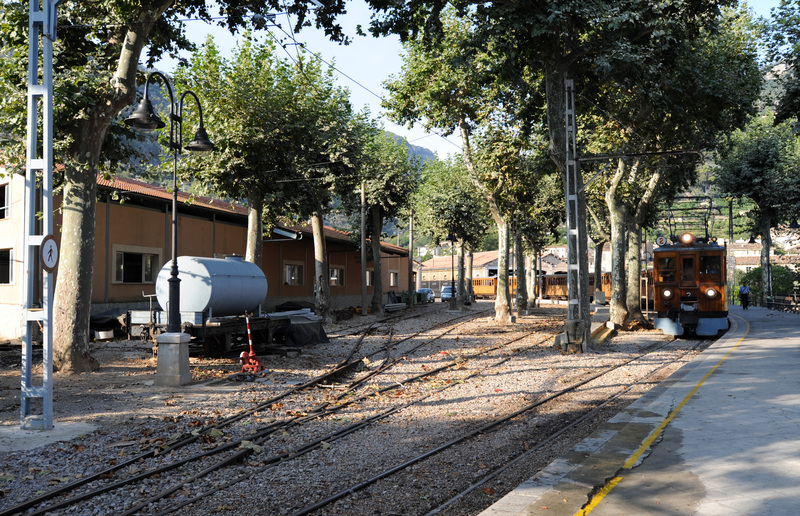 Sóller - Port de Sóller : starting from Monday to Sunday every hour from 7:00 to 20:30. 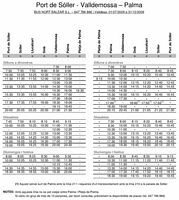 Allow 20 to 25 minutes. 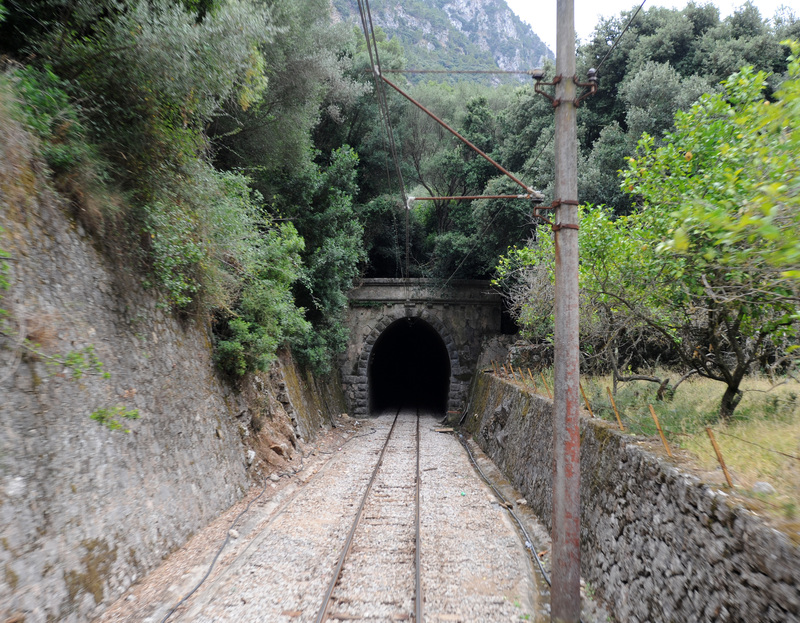 Price: € 4 each way. 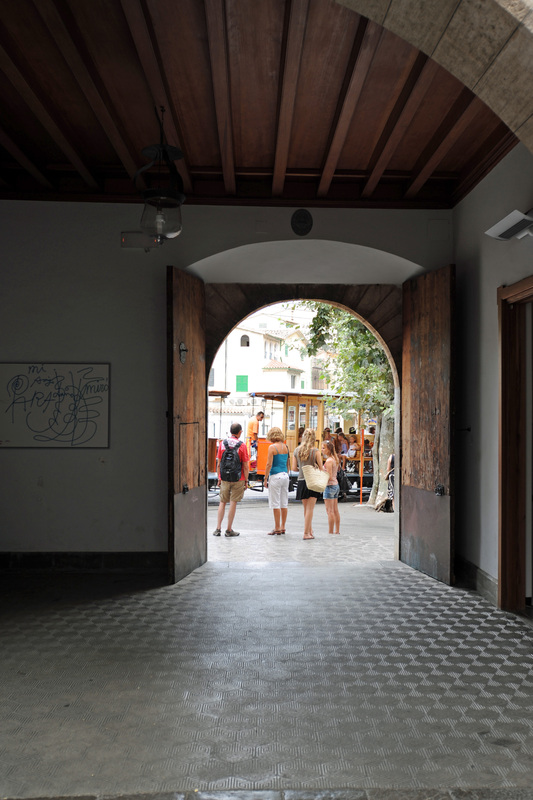 Open Monday to Friday, from 9:45 to 13:25 and Saturday from 9:15 to 13:00. 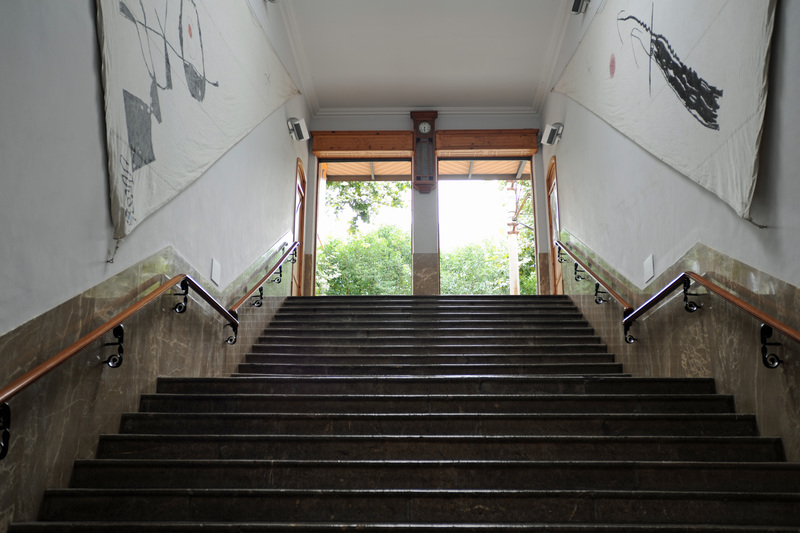 Open Monday to Friday from 8:30 to 14:00. Saturday from 8:00 to 13:00, Plaça d’Antoni Maura (between the Plaça del Mercat and carrer Palou). 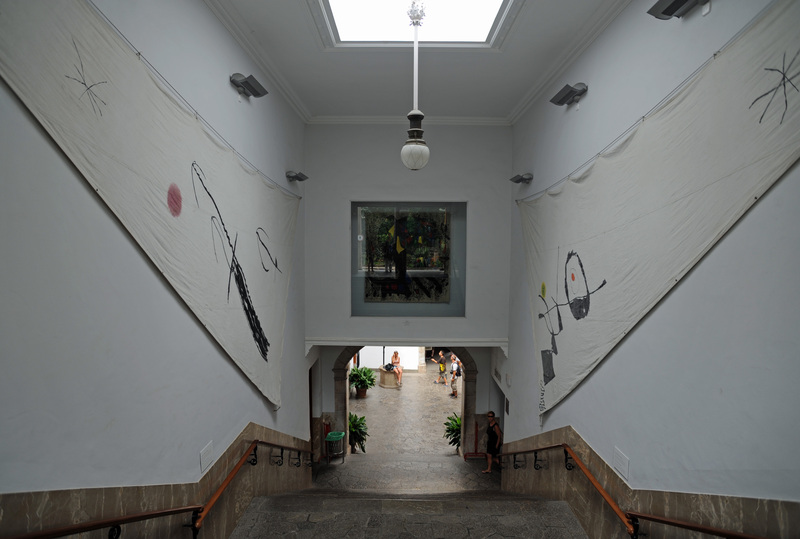 The famous manufacturer offers 40 different flavors, lemon scent is delicious. The ball of ice € 1.50, € 2.50 2 balls. 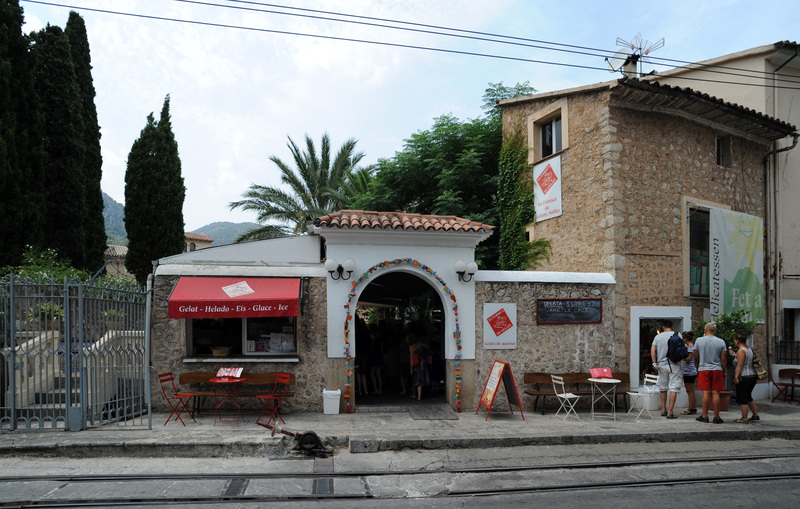 For the sweet tooth: the pint € 4.50, € 7.50 per liter. 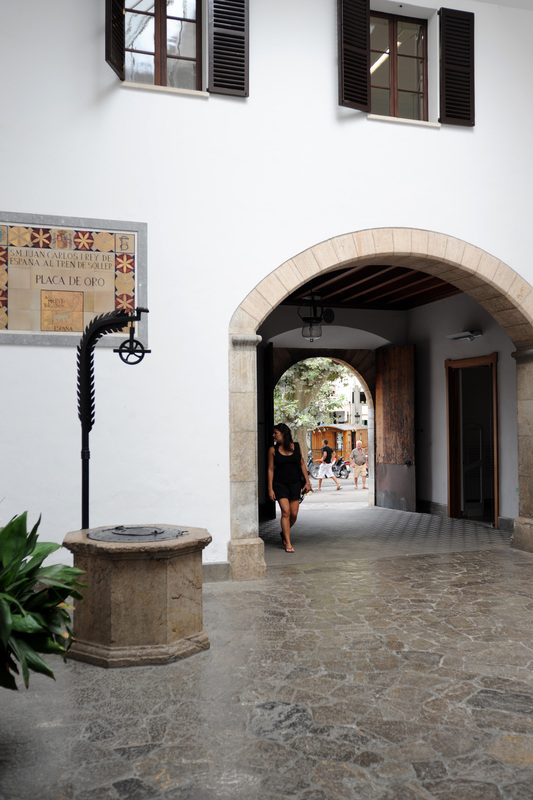 Beside the factory, shop and terrace to ensure a perfect experience.